São Paulo, in addition to a cultural city, is one of the most important health centers of the world. 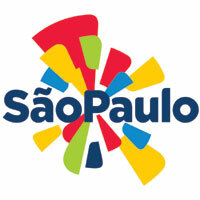 Its international reputation is so great that, according to the Ministry of Tourism, the number of people looking for São Paulo in order to perform some health treatment or esthetic treatment has more than doubled in the recent years. Reference in several medical fields, from heart treatment to plastic surgery, São Paulo capital has 105 hospitals, among public and private, in addition to nine thousand practices with 50 different fields, hundreds of labs and sophisticated SPAs. In order to get a better view, Brazil is the second country that most performs cosmetic surgeries in the world and, according to the last data of the research performed by the Gallup Organization, requested by the Brazilian Society of Plastic Surgery (SBCP), the state of São Paulo concentrates 34.4% of them, and 60% are performed in the capital. The tourist that opts for São Paulo medical treatment is in the hand of excellent practitioners and professionals of health field, once it is in São Paulo where the best medical schools of the country are, responsible for training more than 20% of the practitioners who work in the capital: the University of São Paulo (USP) and Unifesp Medical School (Federal University of São Paulo) are two of the best research centers of Brazil. It is also here where that the first hospital outside the United States certified by the Joint Commission Internation is: Albert Einstein Hospital. Besides, São Paulo affinity and hospitality make the service the more human and comfortable. The service provided in a hospital is similar to a hotel´s: suites have from cable TV to internet access, and some hospitals have areas intended for professional meetings. The medical service allows that the results of the exams may be followed by internet and accessed in different languages, such as English and Japanese. Not only the medical treatments help in the improvement of quality of life. São Paulo also provides more than 111 parks and green areas, open-air spaces where people can play ball, ride bicycle, practice exercises or just relax. The result of this whole apparatus and the researches developed in the capital is that São Paulo is the destination tourists look for when subjects are courses and studies focused on health area. This is the reason for which the city receives several international medical congresses.